Rich, Intense, Dramatic! Music that fulfills! Dream Aria is on top of the music charts! A unique dream-scape of musical genres, compelling lyrics, and deep harmony passages. 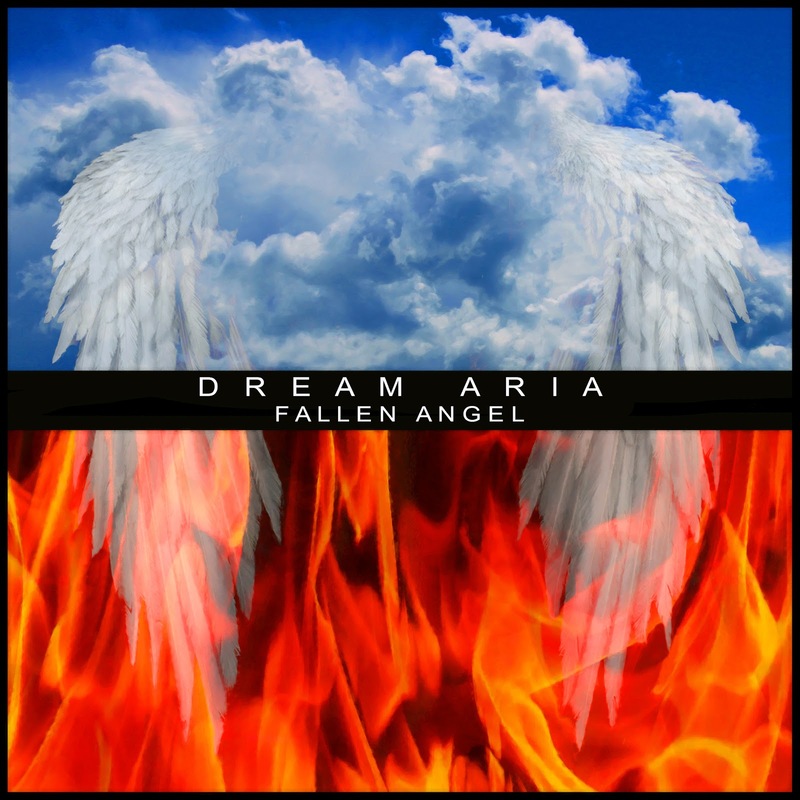 Dream Aria is a unique visionary musical quest to tantalize listeners. Alex Question 1: Can you describe your genre of music and what it means to you? Our music is an eclectic blend of progressive rock, world music, ambient and Goth. Personally, the music we create together means everything to me. The creative process is magical for me and probably for the rest of the band as well. We write from the heart with no rules/boundaries or "cut and paste" processes. We don't even use computers! It's not about the power of the gear for us, it's about the music and the true heart and soul that goes with it. 2.Often musicians and writers have a theme(s) running through their creations, Are there any themes or ideas running through your music? When Don writes the music, he is usually coming from a 'spiritual' place. In this sense, he and I write well together because I'm on that 'same page' so to speak. So when I hear his moving music, I feel and hear spiritual themes. I tend to write lyrics that are positive and about hope and the human condition. In some instances, the lyrics have been a bit 'darker' to reflect all sides of man. Other times, the music conjures up more 'fantasy' style themes within me. I normally write all the lyrics so these are some of the themes the listener may experience from listening to our songs. For instance, the entire "Fallen Angel" cd conceptualizes the idea of an angel being sent down to earth to do good will and guide mankind to higher vibrations of existence. Each song represents a part of her journey while on the earthly plane. 3. What did you find the most challenging about getting into the music scene? Personally, I never thought so much about the idea of "getting into the music scene". All I know is that I wanted to sing and was in fact obsessed with doing so since I was four years old. I simply 'knew' I was a singer (or at least that I wanted to be one!) and took it very seriously and had/have a great soulful love for it. I enjoy most music in general and instruments and such too. I even used to play cello and piano. I just thought of all of my musical experiences to be more of a magical thrill than about doing them for monetary success and fame. That being said, I do appreciate any recognition and support from our fans and friends! We love them all! We do enjoy 'spreading the word' for our band and are very thankful for any successes we've had thus far. But we do it for the love of it, bottom line. As a side note, for anyone out there trying to 'make it in the music biz', my advice would be to use all of today's resources: internet networking (Facebook, Myspace etc), word of mouth, Youtube and the like. Believe in yourself, persevere and do it for the love of it! I wish them all good fortune! 4. As a band, what are your goals for the future? As a band, we would love to continue making music. We also have a few videos in the works and some possible gigs/tours coming up. We will keep our fans posted via our Myspace page, http://www.myspace.com/dreamariacanada and on our Facebook page under Dream Aria. 5.How do you see the music industry in Canada and the United States? I see the music industry in Canada and the US as very commercially (many times very "packaged and without true soul") inclined and less open-minded than music lovers in Europe for instance. I also notice a lot of unseen talent in Canada and feel it's a real shame not many people get the chance to hear their music. Overall, I haven't really heard anything completely fresh and inspiring lately, in the mainstream. I still have hope! 6.Many of the readers of Celebrity English are international, are there any international groups or singers that you enjoy listening to? Within the band, we have many influences and enjoy listening to many different bands and genres, from all over the world. I used to listen to ABBA, the Scorpions, Deep Purple, Beethoven, Andreas Vollenweider, Pat Benetar, Chris Botti, Toto and the list goes on. I know some of my band mates enjoy The Beatles, Old Genesis/Peter Gabriel, Debussy, Giant, ELP and more. More current international bands my bandmates and I have heard and have enjoyed are Lacuna Coil, Radiohead, YES, Sigur Ros and Lisa Gerrard. 7. Where can we look forward to hearing or seeing Dream Aria? I mean new releases, venues, and anything else music related? Our fans and friends can find us anytime on our Myspace and Facebook pages as mentioned before. They can also check our official website, http://www.dreamaria.com for further information. Our latest musical 'adventures' will always be posted on those sites. We will be finishing up a few videos, which will be posted on Youtube etc soon. Also, hopefully we'll be working on our 4th cd in the near future. We also hope to tour Europe and anywhere else we can! Alex: Well that wraps it up for this week. A Big Thank you to our new friends from Dream Aria! Ann Aria: Thank you very much for the interview and a big thanks to all our fans and friends out there! Alex: Cheers to you too! And as Dream Aria truly wishes for all ‘LOVE and LIGHT’! CHECK OUT Dream Aria's Fallen Angel Video!